Earth Month bleatings from EnviRambo! Hello. Remember me? I have been MIA lately. More accurately, I have been MIBA (missing in blog action) lately. My life in the "real" world has been non-stop action. Non-stop meetings and emails, planning and phone calls, hours spent at the computer contemplating the perfect shade of green, all in preparation for the month ahead - April. April is a very special month. April 22, 2010 marks the 40th anniversary of Earth Day! Responding to widespread environmental degradation Wisconsin (my home state) Senator Gaylord Nelson called for an environmental teach-in to be held on April 22, 1970. Twenty million people participated that year and it came to be known as "Earth Day". 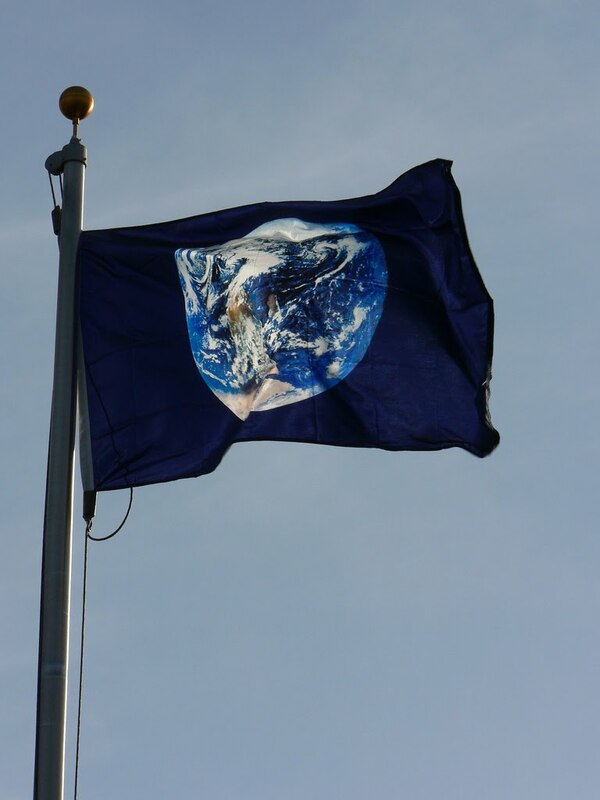 Earth Day is now celebrated by more than 500 million people and hundreds of governments worldwide! Mine being one of them. In 2008 I joined Coulee Partners for Sustainability and helped form the La Crosse Earth Week Coalition (LEWC). In 2009 LEWC hosted their first Earth Day event - Earth Week. Earth Week was a jam-packed week full of a variety of environmental events ranging from film screenings and farm tours to an Earth Fair with workshops, green vendors, farmers market, and lunch featuring local foods. Then came 2010, the 40th anniversary, and somehow Earth Week turned into Earth Month and I became co-chair of LEWC and all hell broke loose. Planning a month-long celebration takes a lot of time - all your time! Leaving little time for anything else like blogging, spending time with family, cleaning, grocery shopping, and at times eating and sleeping. So while I am at an event promoting local food, my family is at home dining on frozen pizza. A bit ironic don't you think? Anyhoo... all this craziness has led to my blogging absence. With Earth Month now in full swing and much more madness to come, I still have little time for anything else. All those events I planned I must now attend. I'm starting to think cloning may not be such a bad thing after all! Rather than being MIBA for two months, I wanted to share my journey through Earth Month with you. 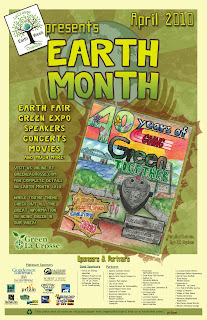 Below are a few of the events happening for 2010 La Crosse Earth Month. For the full schedule you can log on to GreenLaCrosse.com and click on "Calendar of Events". With 32 Partner organizations collaborating with LEWC and all hosting activities of their own, it is a busy, busy month! Of course you can also check out LEWC on Facebook and join our "2,010 in 2010 challenge". 2,010 fans that is, we are currently at 917. 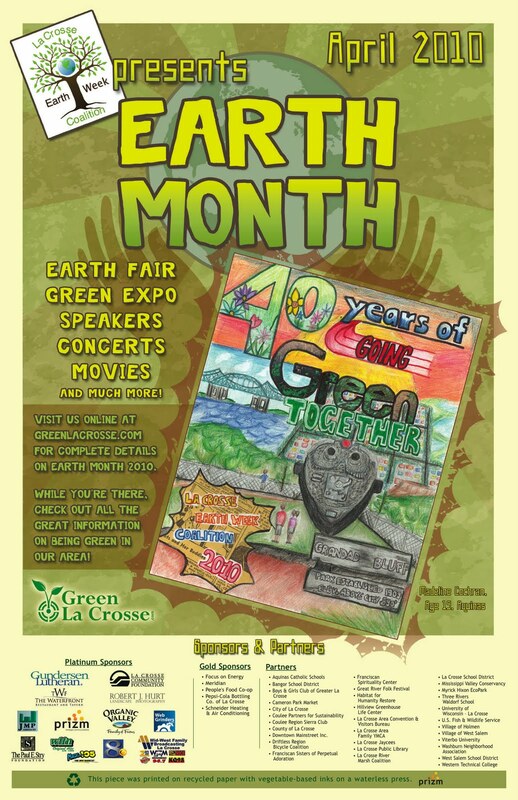 · “Earth Month” kick-off – Thursday, April 1 (5:00 p.m.) Riverside Park - La Crosse Mayor Matt Harter and County Board Chair Steve Doyle will issue a joint proclamation declaring April to be “Earth Month” for the City and County of La Crosse. Winner of the “40 Years of Going Green Together” Poster Contest will be awarded a bicycle from Smith’s Cycling & Fitness. · “Pull the Plug” Day – Sunday, April 11 – Voluntary “unplug” yourself from electronics! · Green Rock Fest – Friday, April 23 (7:30 p.m. to midnight) Concordia Ballroom – Featuring “Fayme Rochelle & The Waxwings” and local band “Fur Low Riders”. Donation requested at door. The Earth Month Kick-off and "Greens, Eggs, and Cheese Gala" have already happened. I will be posting pictures from those in my post next week. Every week after that throughout the month of April I will post pictures of the events from the week before. I encourage you to get out and participate in Earth Day/Week/Month in your community. I would love to hear what you have going on! 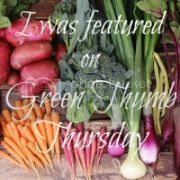 For now, I will leave you with an interview I did for my local FOX station promoting Earth Month. For those who do not know, I wear vintage (and often hats!) and really do not look like a sheep - although my hair is curly enough for one! And now I am off to the next event! HAPPY EARTH MONTH! I don't know how you do it girlie. I'm worn out just reading about all of it! Great to see you on TV too! Wow, your involvement is an inspiration! I'm another Wisconsinite who is proud to claim Gaylord Nelson as our own! I'm on our school building's planning committee for Earth Week. This year we're working around a history of Earth Day/ Earth Week, including teaching kids who this guy was and why he was so important.